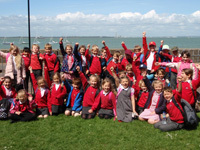 Experience an Isle of Wight School Trip like no other! Since Victorian times the Isle of Wight has been welcoming tourists and visitors - nowadays more than 2 million each year! 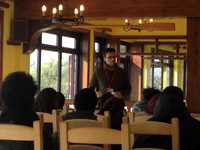 As a result we can offer a wide range of accommodation options to suit your specific requirements, from traditional student bunkhouse quarters through to hotels of all grades. The Island offers over 44,000 visitor bed spaces in virtually every conceivable type of accommodation - the possibilities are endless! The Isle of Wight is the UK's best resourced school trip destination with literally hundreds of curriculum-linked and relevant activities available across the Island. Combine all the excitement and fun of a traditional school trip with the "stealth learning" that expertly-designed resources can add to your visit. Are you looking for a subject-specific trip? If so, choose your subject from the drop-down below and we'll show you what's available! REMEMBER - everything we do is bespoke. Make your experience your own. These are just ideas to get you thinking! 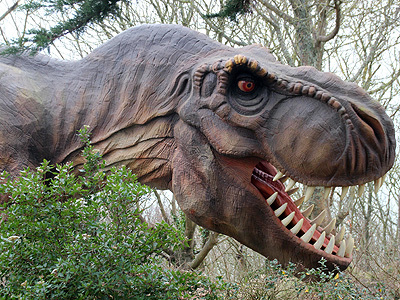 Visit the Isle of Wight, world renowned for its dinosaur and fossil collections. 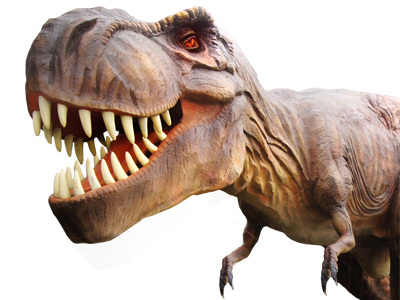 This tour is ideal for those undertaking project work on fossils, dinosaurs or the Triassic, Jurassic and Cretaceous periods. 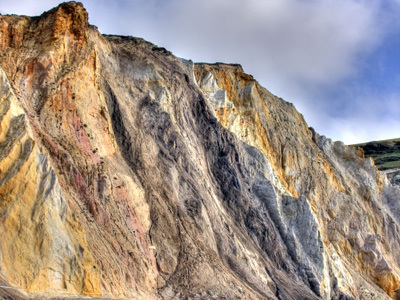 Students will be able to handle fossil exhibits and search for their own on some of the best beaches and cliffs in Europe. Often described as "Britain in Miniature", the Isle of Wight and the sea crossing to get here offer much to interest teachers and students of human and physical geography. 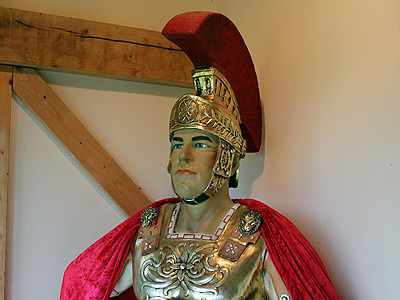 A tour through the incredibly rich history of the Isle of Wight, from our world-renowned dinosaur and fossil collections through our Roman occupation and on to the Victorians who made the Island famous as one of the UK's most popular tourist destinations. A detailed tour through the incredibly rich history of the Isle of Wight, from our world-renowned dinosaur and fossil collections through our Roman occupation and on to the Victorians who made the Island famous as one of the UK's most popular tourist destinations. Introduce KS2 / KS3 students to the some of the Island's most talked-about attractions and activities with this fast paced 3-day tour almost guaranteed to make for a quiet coach journey home! 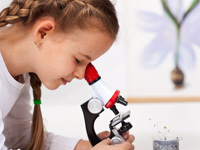 Introduce your students to the world of STEM with this fascinating week of activities centred around one of the UK's leading STEM teaching facilities here on the Isle of Wight. Visit local attractions and see STEM in practice in real world environments then return to the lab and perform some hands-on experiments. There will be opportunities to talk to STEM careers advisors and ambassadors from local technology, electronics and aerospace employers. The Isle of Wight is THE ideal UK destination for students of Travel & Tourism to intimately examine historical and coastal attractions, observe customer service across a range of venues, and experience an incredibly diverse selection of visitor services first-hand and behind the scenes. Education Destination's close working relationships with Island tourism businesses mean that we can get our student groups unprecedented levels of access to a wide range of travel focused businesses. Imagine how much your students would benefit from meeting with owners and managers of tourism businesses, from theme parks to ferry operators, hotels and holiday camps to animal attractions, restaurants to castles. With Education Destination's Travel and Tourism Exposed package, we will arrange unique 1:1 sessions with these key people where you will learn from those who already run successful tourism businesses. There will also be the opportunity to pose your own questions, before enjoying the facilities on offer. Education Destination welcomes teachers who wish to put together their own bespoke packages, and our local experts are ready to help and advise in any way they can. Build your own itinerary by choosing venues, subjects, special events or individual learning resources to suit your exact needs. You can do this all online via our Planner tool or contact one of our advisors to discuss possibilities and likely costs. What are other schools booking? Here's a selection of our most recent itineraries for inspiration! Get a Quote for a Trip Like This! Education Destination can take care of all your travel and accommodation arrangements for you. Because we have preferential volume rates, we can usually arrange this more cost-effectively than you could by booking yourself. If you do want to take care of your own arrangements, that's fine by us! We're totally flexible and will work with you to help put together the ideal package for your exact needs. We work with partners such as partner Red Funnel (members of ABTOT), who have over 150 years' experience operating ferries to/from the Island and extensive knowledge of operating tours and package holidays. We have also partnered with Hovertravel, who provide a high-speed and regular passenger-only hovercraft service from Southsea near to Portsmouth. 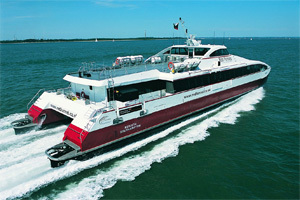 Finally, we can book you onto Wightlink services from Portsmouth or Lymington in the New Forest.